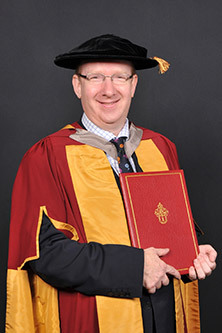 Lord (Daniel) Finkelstein, OBE, was given an Award of Doctor of Science honoris causa by City in 2011. The Times is a British daily national newspaper, first published in 1785. Daniel Finkelstein joined The Times in 2001 and became Chief Leader Writer in 2008. His weekly football statistics feature - Fink Tank - began in 2002. Lord Finkelstein's career is as broad in its scope as it is distinguished. It has encompassed being Editor of Connexion - Britain's first internet and data communications newspaper, directing the Social Market Foundation think tank and acting as a key advisor to the Conservative Party. He is currently The Times' Executive Editor, Chief Leader Writer, and author of a weekly football statistics column - 'Fink Tank'. 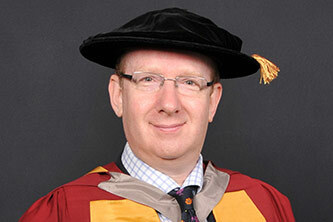 He was made a life peer, as Baron Finkelstein of Pinner, in 2013. View an alphabetical or chronological list of all City's honorary graduates since 1966.